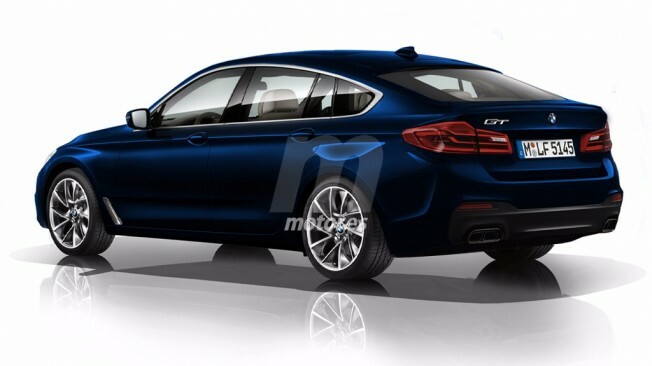 One of the hottest topics of this year in the BMW world was the alleged rebranding of the 5 Series Gran Turismo into a future 6 Series GT. Over the last few months, several sources close to the brand have told BMWBLOG that the 6 Series family, as we know it, will be going through massive marketing changes. The 6 Series Coupe and Convertible will be moving up to the new 8 Series lineup, while the 6 Series, for now, will only offer one model: a 6 Series Gran Turismo. It is still unclear whether the 6 Series Gran Coupe will be offered and if it does, under what naming convention. In July, we first broke the news on the GT and its future. Today, we’ve learned that the G32 6 Series Gran Turismo is certainly a go and it’s scheduled to launch next year. Market availability will be the same as the current 5 Series GT. Despite the new name and the integration into the 6 series, the Gran Turismo is based on a similar concept as its predecessor. The BMW G38 5 Series version long wheelbase – which is sold exclusively in China as in previous generations – is the technical basis. The longer wheelbase provides additional space in the rear and contributes to the overall more stretched looks and therefore more elegant proportions of the BMW 6 Series GT. In order to make the design of the tailgate more pleasurable, the BMW designers focused on a clean and stretched rear end, while the above-average luggage compartment is now of secondary importance. Sources inside Munich assured us that the 6 GT will be far sleeker and better looking than the current GT. The engines and chassis technology of the BMW G32 6 Series GT is largely adopted from the new G30 5 Series, but the entry motorization will be more potent than the 5 Series. While in Europe the BMW 630d GT is likely to play the leading role, the BMW 640i GT will dominate in many other markets.